And before we know it, the Disneyland Paris 25th Anniversary is upon us! Last weekend saw the full slate of new brand new entertainment launched across the park, one of the resort’s single biggest entertainment openings in history — and now you can be there too. Here are no less than eight brand new videos covering the new parade, nighttime spectacular, stage shows, “kiss goodnight” and even the special one-off ceremonies to begin the festivities — including a performance of “Beauty and the Beat” by John Legend himself. There’s still much more to come — including a full walkthrough of the new Star Tours: L’Aventure Continue area, a ride on the renewed Big Thunder Mountain and the Star Wars: Season of the Force entertainment from Walt Disney Studios Park. And for the first time, our videos are filmed in 4K “ultra high definition”. Watch them here below, see our Videos pages for the full listing or watch the complete playlist directly on YouTube. You can also find the DLP Guide channel on smart TVs and boxes compatible with the YouTube app, for a big-screen experience. Make sure you Subscribe on YouTube to see the rest of the videos first! Seven larger-than-life new floats and a bombastic new soundtrack have crashed onto the Disneyland Park parade route. Disney Stars on Parade contains some amazing stunts, such as the Toy Story “wheel of destiny” and the computerised Crush atop a giant Finding Nemo float, speaking in time to the soundtrack. Luckily, Maleficent’s “opening day nerves”, which saw her slumped downwards for much of the opening performance on Saturday, were solved by Sunday, so we captured her breathing fire in spectacular fashion three times. Replacing Disney Dreams! was never going to be an easy task, and although Disney Illuminations doesn’t come close to matching its predecessor for beauty and storytelling, it’s a technically impressive show with some sure-to-be-popular scenes, of which The Little Mermaid “Part Of Your World” is the stand-out success. Disneyland Paris président Catherine Powell officially declared the celebration open with help from Walt Disney Parks & Resorts chief Bob Chapek — and a huge gathering of Disney characters. Want a way to test a new 4K camera? Get Tinker Bell to throw some “25” branded confetti at it. The first of two new Royal Castle Stage shows, Disneyland Paris spoil us with no less than 18 Disney characters on stage at the same time. The show is a total throwback to early park revues like C’est Magique at the former Fantasy Festival Stage, with a song for each land. This might be a good or bad thing, depending on your enjoyment of high-pitched character entertainment, but for a stage that no so long ago stood awkwardly empty, it feels like a real gift. We expected a year-round version of Royal Christmas Wishes, what we’ve actually got is a show twice the length and even more picture-perfect. You can’t beat having this number of Disney Princesses on stage at once. 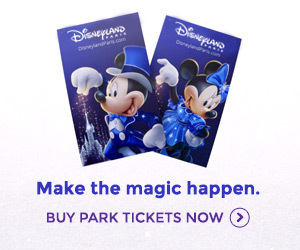 With colourful dresses glistening in the sun and fountains waltzing behind, like “Mickey presents…” it’s exactly what you expect to see when you visit Disneyland. Opening the first performance of Disney Illuminations for the press and VIPs, Peter Pan led a short one-off ceremony lighting up Sleeping Beauty Castle with the 25th Anniversary logo for the first time. Wouldn’t this have worked better as a Disney Dreams! pre-show? Grammy, Golden Globe and Academy Award-winning musician John Legend was the guest of honour for the resort’s 25th Anniversary evening events, playing a trio of his songs — including “Beauty and the Beast” from the new film — in front of Sleeping Beauty Castle for a real goosebumps moment. Finally, as part of the anniversary events, Mickey Mouse nows waves goodbye after every performance of Disney Illuminations, as guests leave under Main Street Station. It’s disappointing that he doesn’t move his mouth, but certainly welcome to have this hugely popular “goodnight kiss” back after a long absence as a guaranteed event. Explore our Disneyland Paris 25th Anniversary Guide for more about the celebration and how to start planning your trip.